Rhythm Lords kick off 2017 right!!! 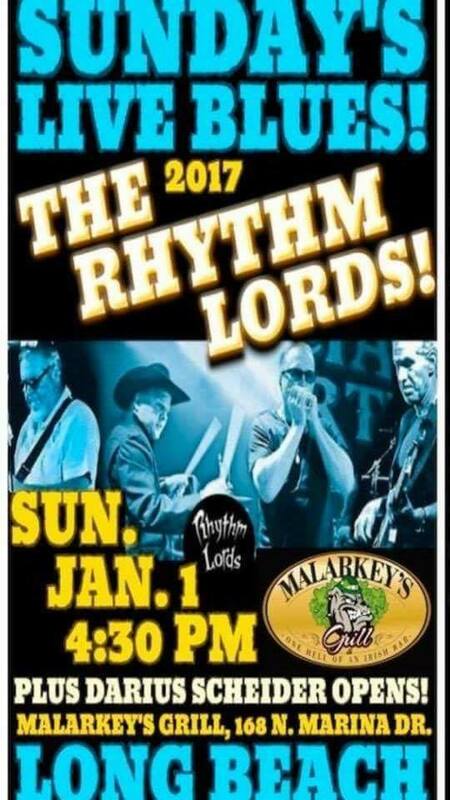 On Sunday, January 1st 2017 the Rhythm Lords® will kick off the New Year with an early show at Malarkey’s in Long Beach. Hard rockin’ blues featuring a long list of original music spanning decades of recordings the boys will also throw down a few choice covers for good measure. Their friend and local music patron saint, Stacey McIntyre will celebrate her birthday plus special guests round out the festivities. Start 2017 out right and get down to Malarkey’s for special show.